Valentine’s Day and gifting go hand in hand. The celebration is incomplete without gifts. 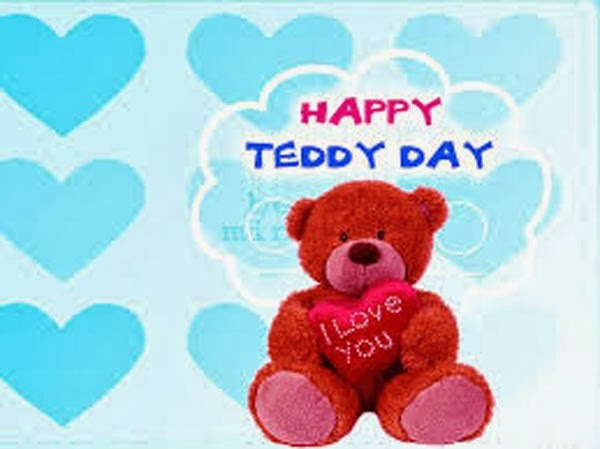 Teddy Day, the 4th exciting day of Valentine’s week electrifies girls a lot as they expect loads of teddies from their beloved. No matter your teddy is super-huge or small, it beautifully mails the message of your sheer love and care. On the Teddy day, it is the custom to present cute teddies to your beloved or the loved ones as they are just mad about this little entitlement. Online store ensures that your love wishes will reach to the right heart through the stunning collection of gifts. The online gift is mesmerizing enough to take anyone’s breath away. With the online shopping facilities one can pick a single adorable teddy or fascinating combos like ‘Teddy and Candle’, ‘Teddy and Heart-shaped cushion, Teddy and Chocolates and so onwards. You can complement your loved ones with the soft teddy bear and a ravishing bouquet of flowers or a box of assorted chocolates. Almost all girls on this planet like to have soft and squashy teddy bears on this day. Teddies have become synonymous with the ultimate expression of love. They give a feeling of coziness and a sense of belonging, and this why they have become as popular as a gift among anyone who wishes to make their feelings clearly expressed. And, this is not just for couples. You can gift a soft toy to your family or friends as well. One can make Valentine’s Day special for the one who means the world to you irrespective of their age, relation they share with you. Despite the fact that World Teddy Day is celebrated just four days before Valentine’s Day, it is only right to accompany each of these special gifts with Valentines Day teddy bears. Valentine’s Day teddy bears shall always remain with your beloved. Online shopping portal presents various designs of teddy bears as an ode to this day of love. Huggable teddy-bears, ‘I love You’ teddy bear, Cuddly Teddy bear with cushion etc form the crux of this section on Valentine’s teddy bears. As a mini replica of the Valentines, a couple teddy-bear seated on a heart-shaped cushion is just perfect present for the two who are in love. One can never go wrong selecting these cute mascots of love for this special day. Send online to your favorite people these amazing presents and make their day more bright and happy.